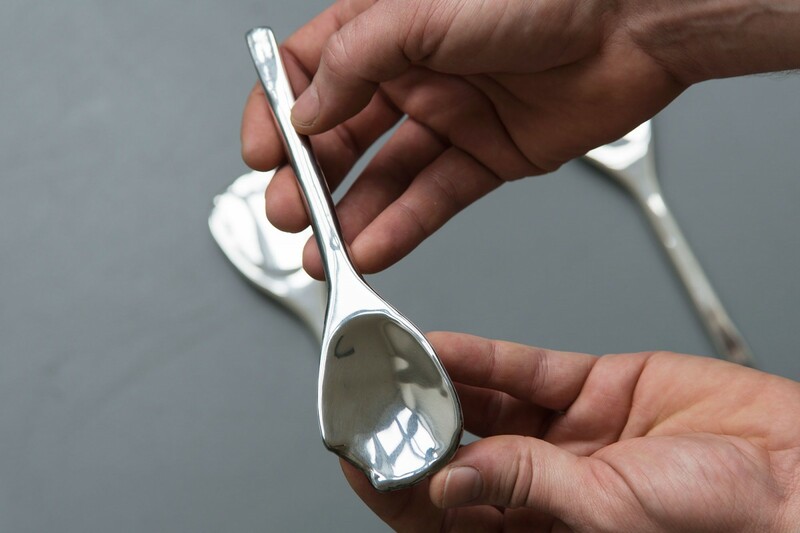 The installation Silent Dinner consists of a set of five silver spoons, copies of a wooden spoon that my grandfather, active in the Dutch resistance, used in an unknown prison camp in the Netherlands during World War II. The wooden spoon is a testimonial object: it witnessed a tragic past and preserved it in the silence of subsequent generations for whom the past was difficult to reconcile. The work focuses on the generational silence, which functions as both bearer of and barricade to the past. In silence, the past manifests itself, but is not yet clarified through archival research or other processes of demystification. It embodies the space of imagination and potential reconciliation.